An elderly villager from China has had some 30 live maggots removed from her ear canal after a fly laid eggs there which then hatched into worms. 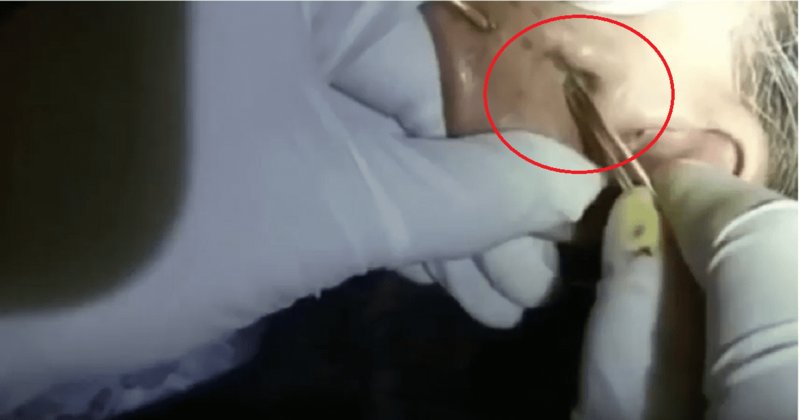 A disturbing video, taken by nurses at the Third Xiangya Hospital of Central South University, shows doctor Ma Yanhong having to remove the wriggling bugs from the 76-year-old patient one by one, using a pair of tweezers. The ear, nose and throat specialist based in Changsha, capital of central China’s Hunan Province, was given the case after the villager was transferred by local hospital doctors. South African Girl Catches A Cobra!